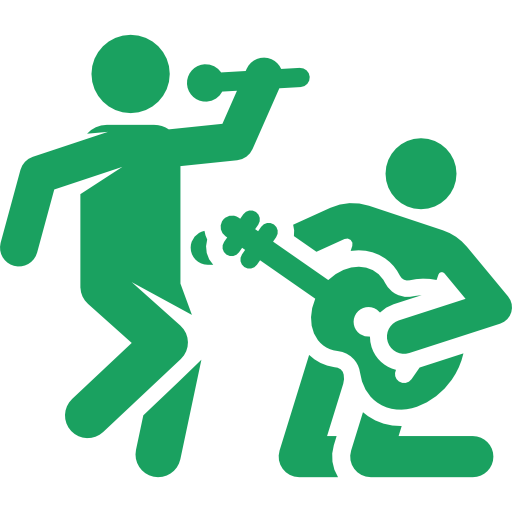 As you might already know, next week is World Music / Make Music Day! What better way to celebrate than by going live on your radio station and broadcasting unmissable performances in the street! 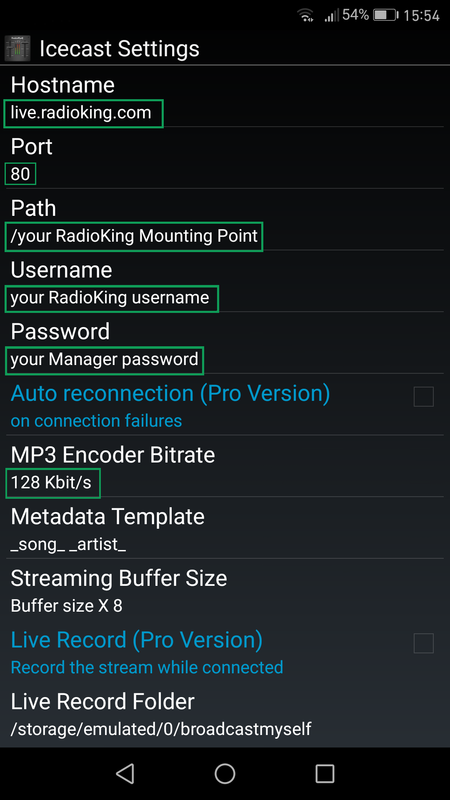 An event as such also make this the perfect opportunity to provide you with a tutorial on how to broadcast live from your mobile phone to your online RadioKing stream. 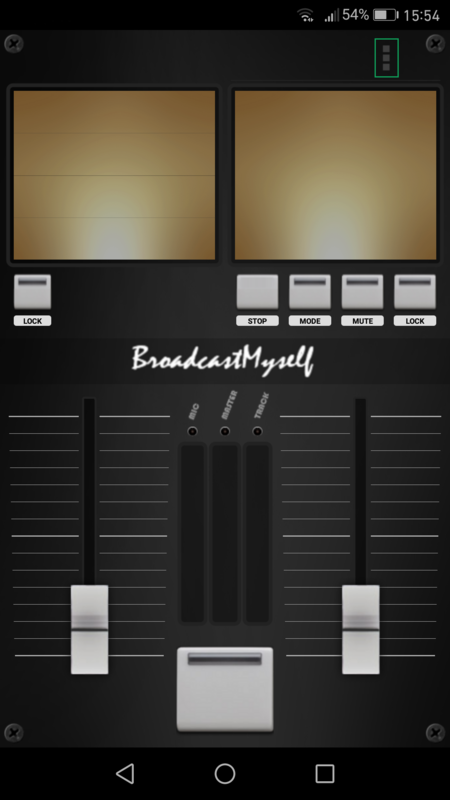 One easy way of going about this is to download the free BroadcastMySelf app found on the Play Store (we’re still on the hunt for a free iOS app). If you want to take things to the next level, you can always purchase the paid version for a couple of extra features. 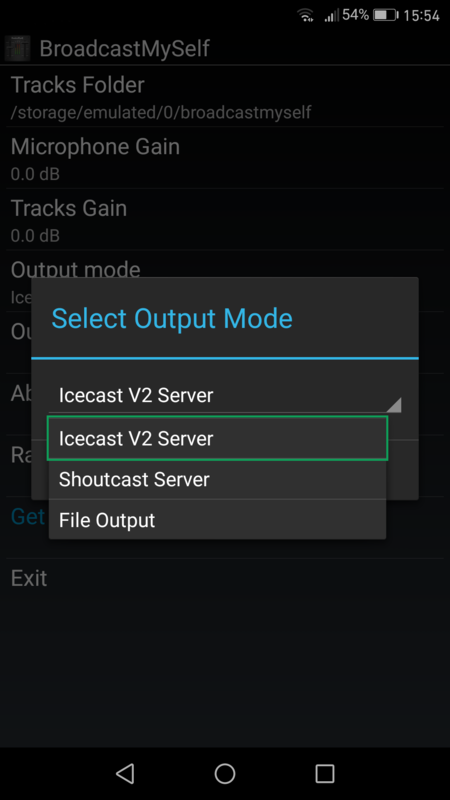 On the new menu, select Output mode and then Icecast V2 Server. As soon as you’ve finished configuring the relevant fields, re-start the app for your changes to be taken into account. To add any tracks to the app which you can then play live, click again on the three vertical dots and select Tracks Folder. 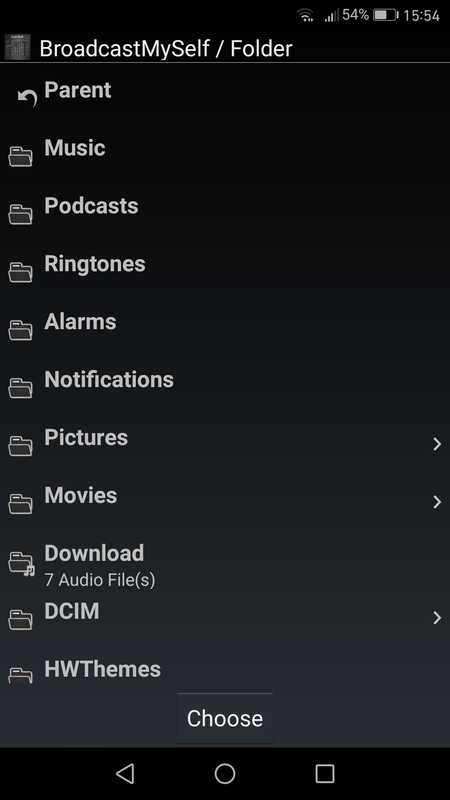 Simply tap on the folder itself to view any tracks within, the Parent button will take you back. 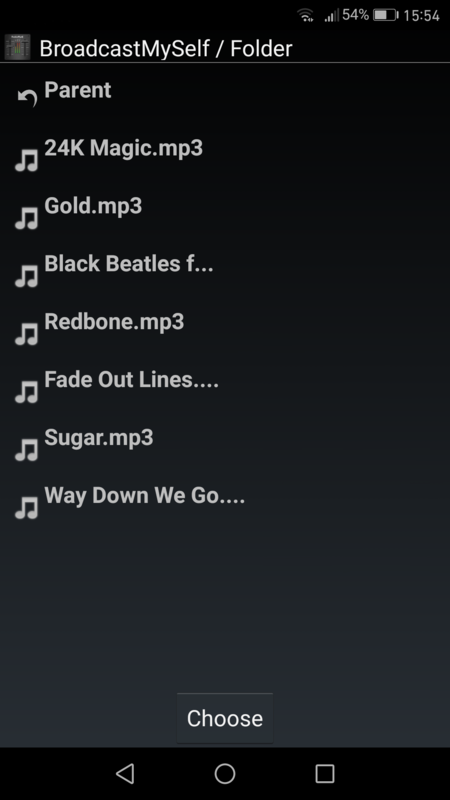 Once you’re happy with the folder and the tracks within, tap on Choose. You’re now just about ready to go live! Head back to the home screen and tap on the middle button between the two faders. If everything has been configured correctly, “Connected” should appear. 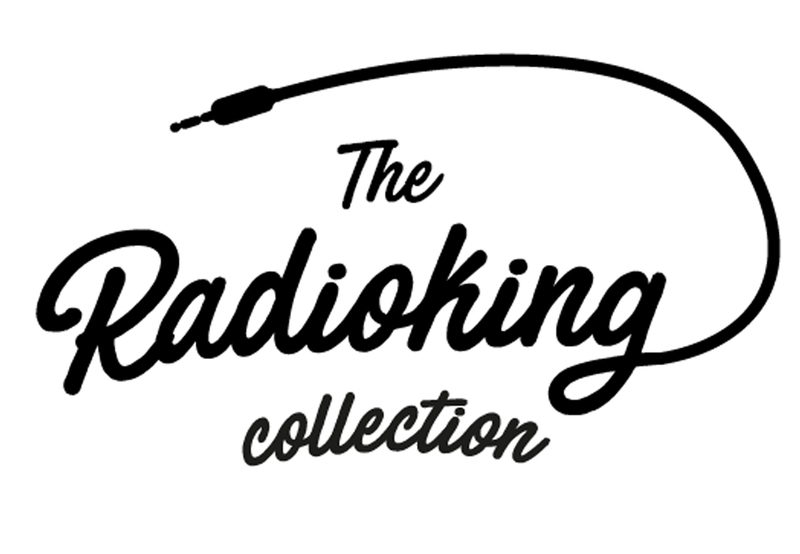 You’re now live on your radio station! The left fader controls your microphone volume whilst the right fader adjusts audio levels. Select on your chosen track on the right to play it. 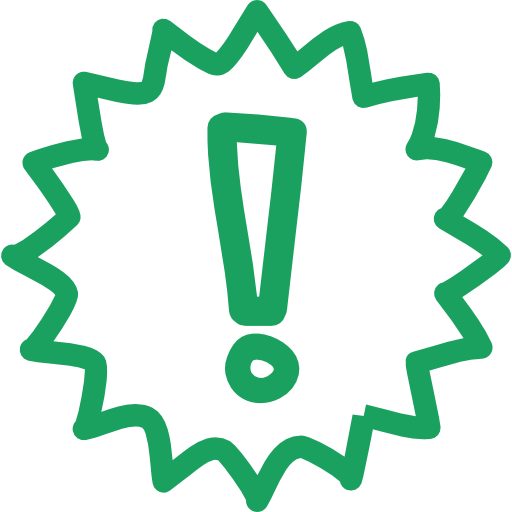 Attention: You should expect a delay of around 25-30 seconds before your listeners hear your live session. When you’re ready to end your live session, simply tap on the middle button once again. So whether it’s a street interview or a passing thought, you can now keep your listeners in the loop without any hassle! 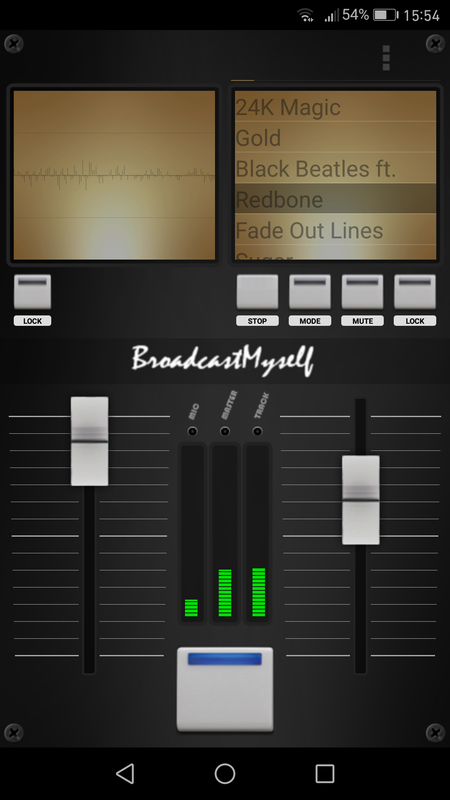 Apple lovers, watch this space for a tutorial on how to broadcast via your mobile phone with an iOS app. I am interesting how to stop BroadcastMySelf in manager Radio King if I want interupt one of Dj. 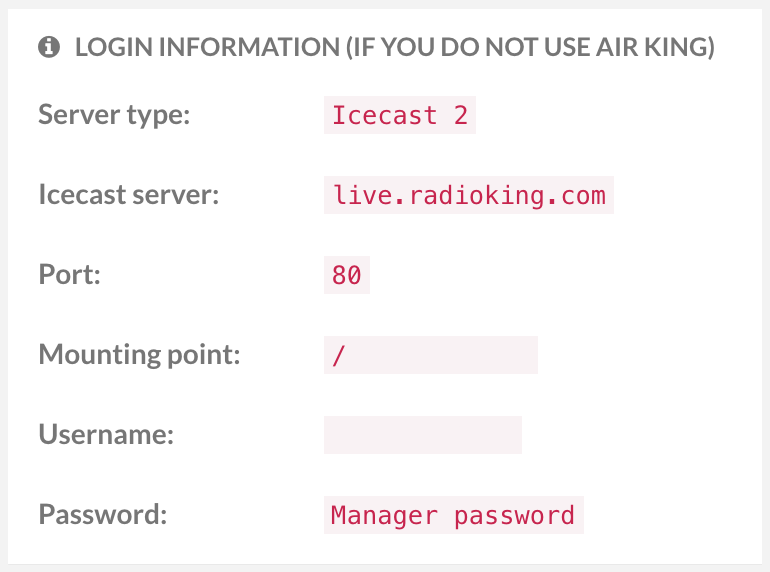 Hi Zlatko, I believe that you’ll need to manually disconnect from BroadcastMyself if you’d like the programming of your Radio Manager to be broadcast. Let us know via the chat if you’re still having trouble! 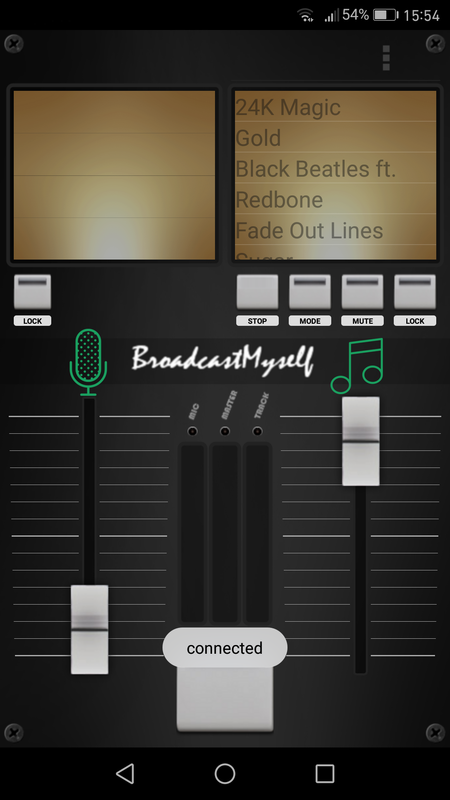 BroadcastMySelf app is an excellent application to broadcasting. I have been using it from longtime.